Student participation is the backbone of our university. Because of student leadership, UM is the first university in the country to operate fast-charging, zero-emission, battery-electric buses. 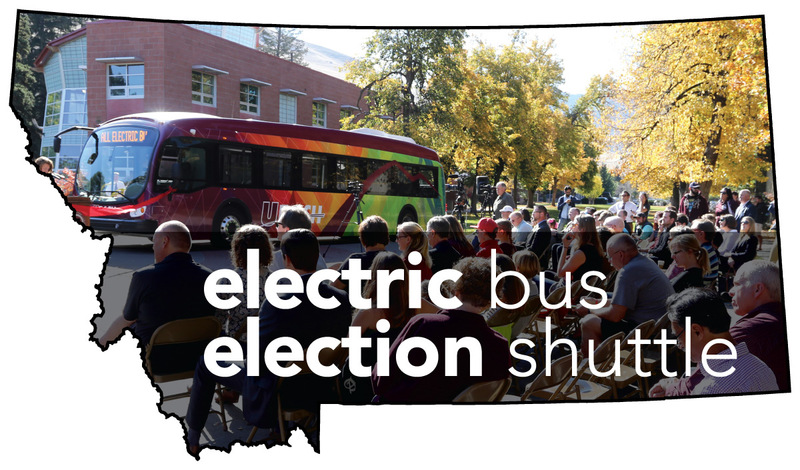 We’re commemorating that student involvement by running our electric buses for a special Election Day bus shuttle—a day when student participation is critically important. 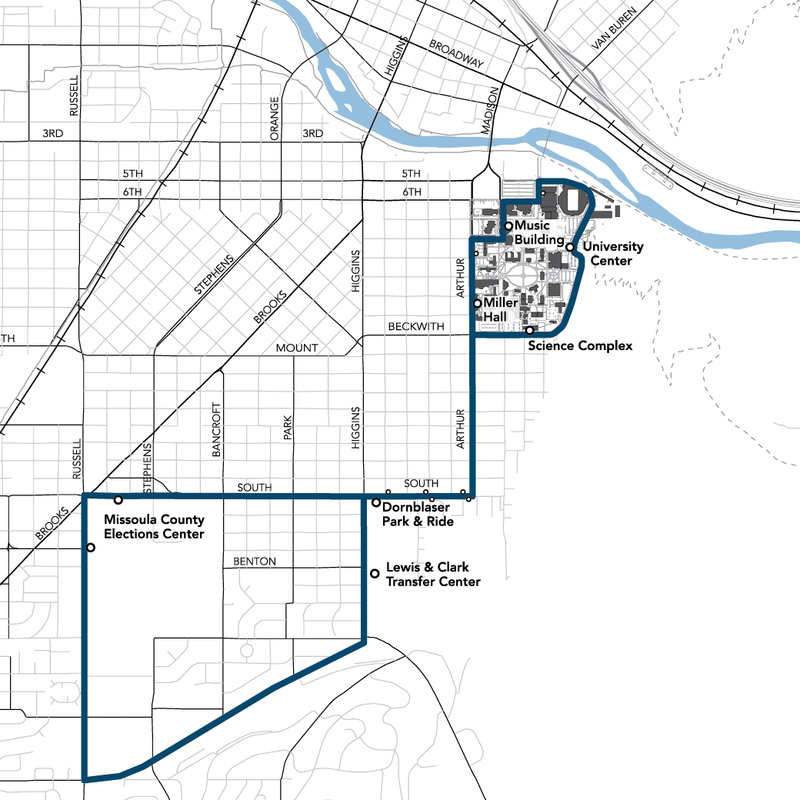 You can ride our electric bus to the Missoula County Elections Center at the Fairgrounds to drop off your ballot or for Election Day late voter registration. Your vote is important this November. Make a plan to vote and exercise your civic duty. Ride our electric bus to the Elections Center at the Fairgrounds this Election Day, and be #electionready with UDASH. The Election Shuttle will run every 30 minutes on Election Day. Service begins at 7:00 AM at the Music Building stop. The last departure from the Elections Center at the Missoula County Fairgrounds will be after voters finished voting. Voters must be in line at the Elections Center by 8:00 PM in order to vote. We suggest arriving as early as possible to avoid lines and delays. Missoula County Elections Office (MissoulaVotes.com): The Elections Center at the Missoula County Fairgrounds is open 30 days before an election to provide voters with late and same day voter registration services. These services also include accessible voting, registering to vote after the "close of registration," issuing ballots, and offering replacement ballots. The UDASH shuttle bus stops at the Elections Center. Griz Vote 2018: MontPIRG's helpful guide to common voting questions from UM students.